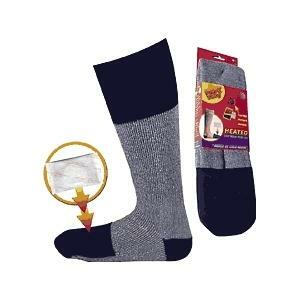 Heavy weight pocket sock features a pocket at the top of the sock for a toe warmer to be inserted. Made of Merino wool blend, 76 percent Acrylic, 13 percent Merino wool, 9 percent Nylon and 2 percent Elastic. Includes one pair of warmers.